Bob finished-up the refinish job on this Hoosier just a couple weeks ago and it looks gorgeous. 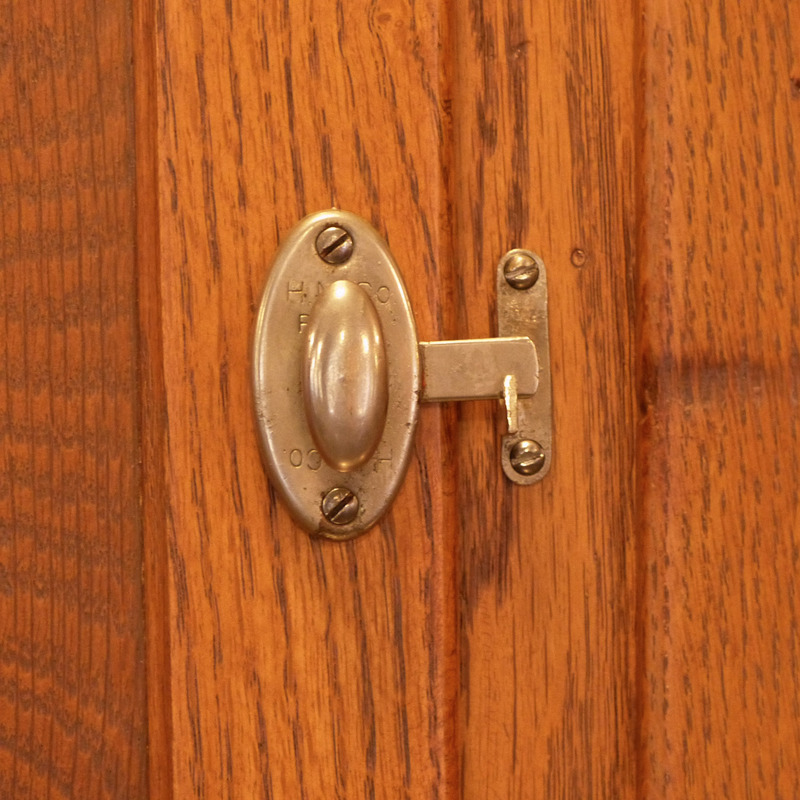 It's a 1916 model and was probably a Hoosier "White Beauty" when it was made -- with the oak painted over in white. 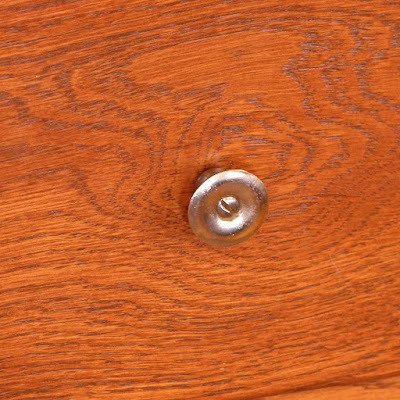 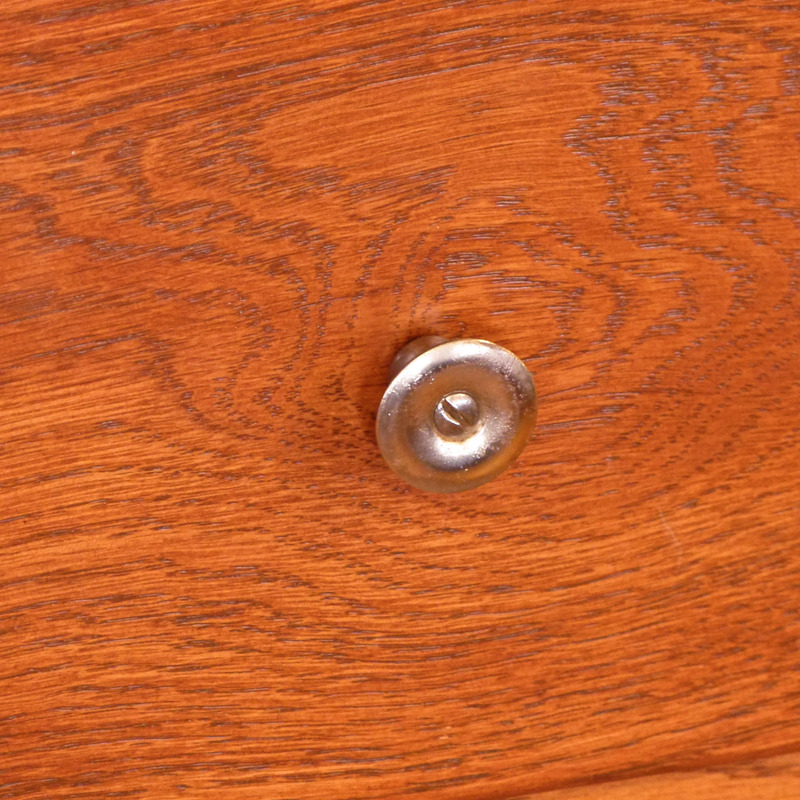 He's now calling it a Hoosier "Wonder" in the red-oak, factory-style refinish. 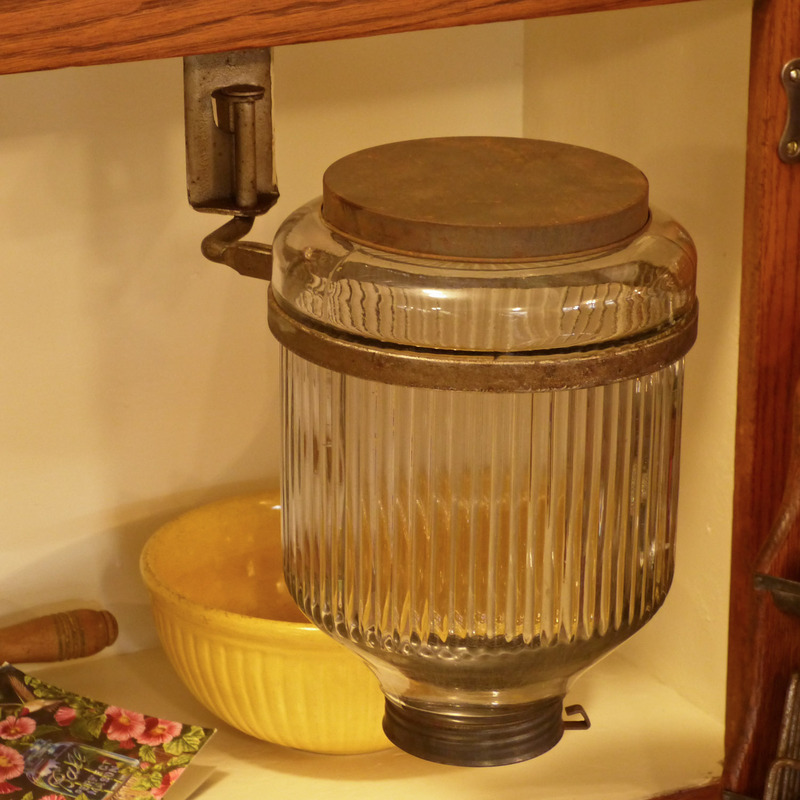 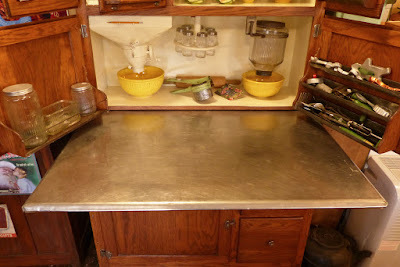 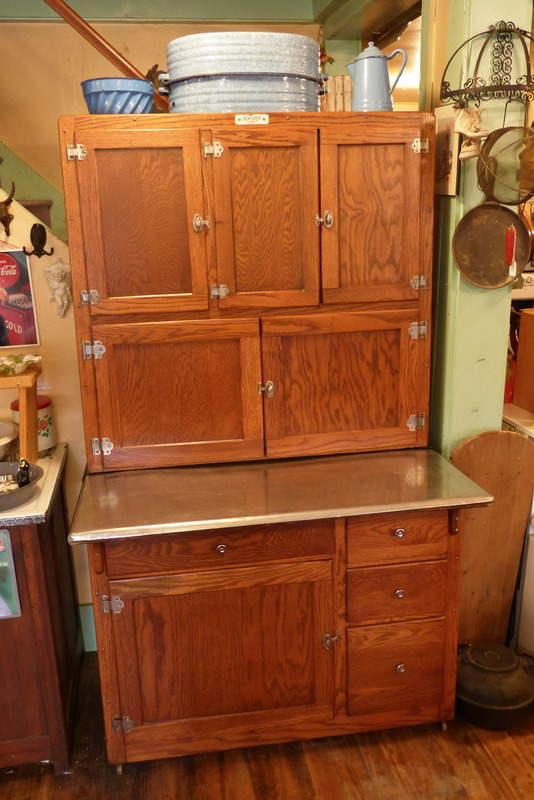 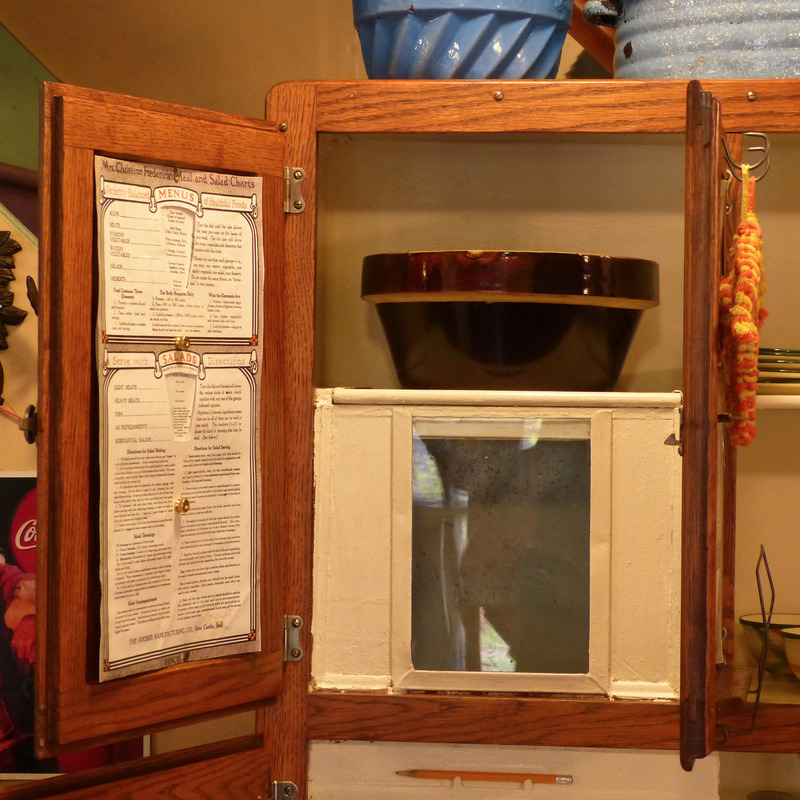 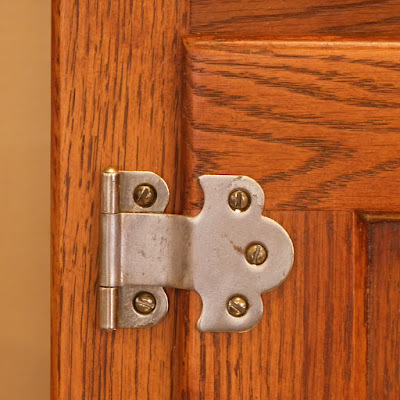 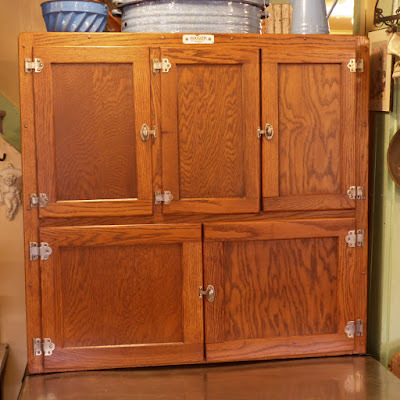 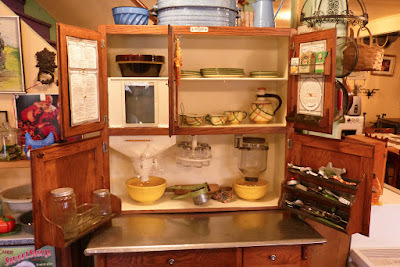 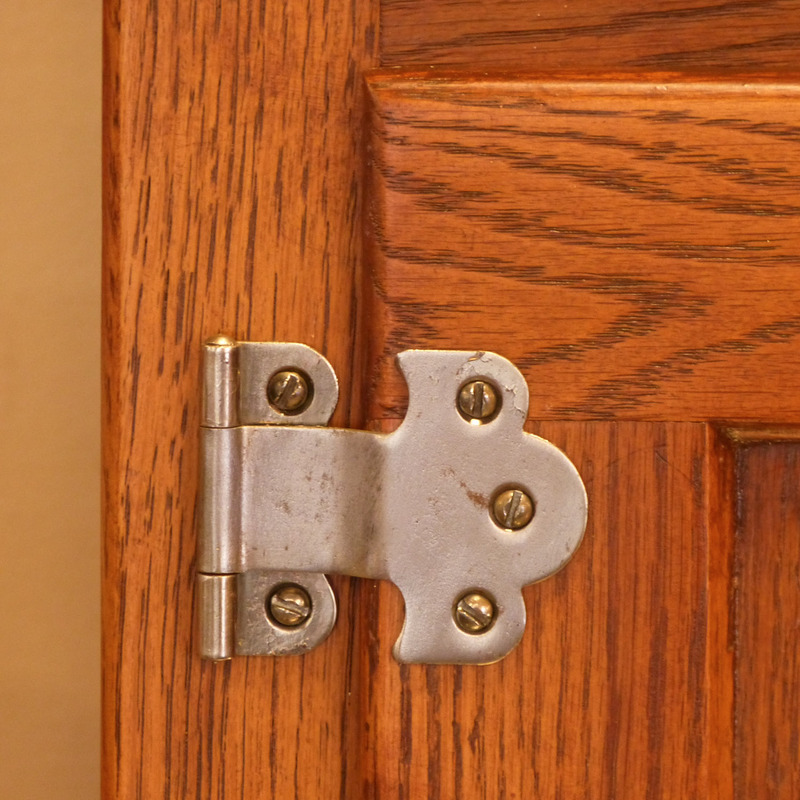 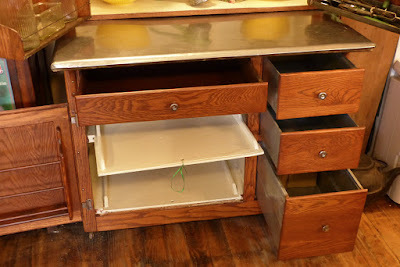 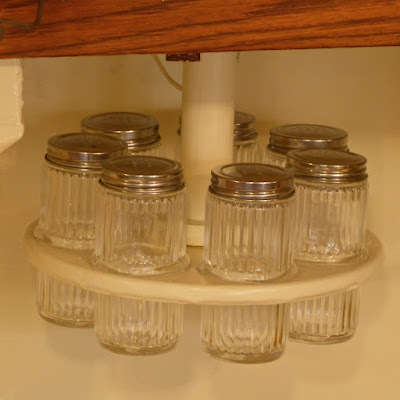 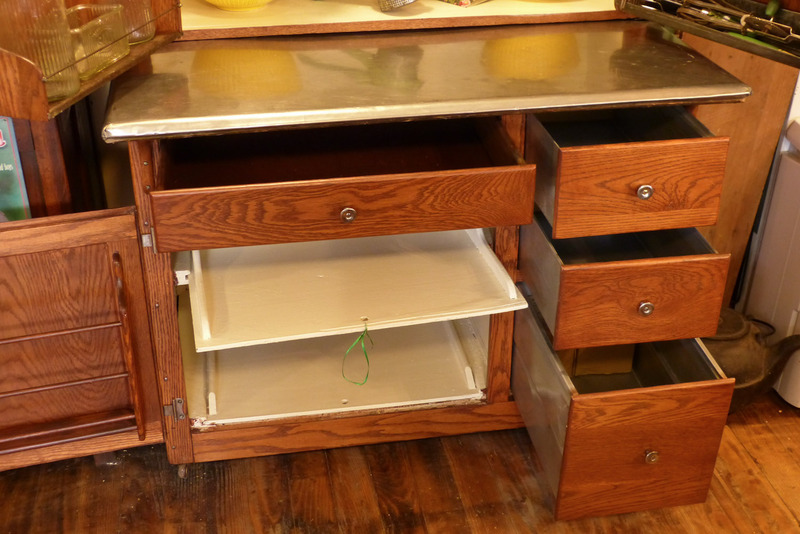 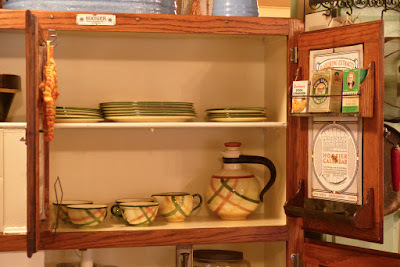 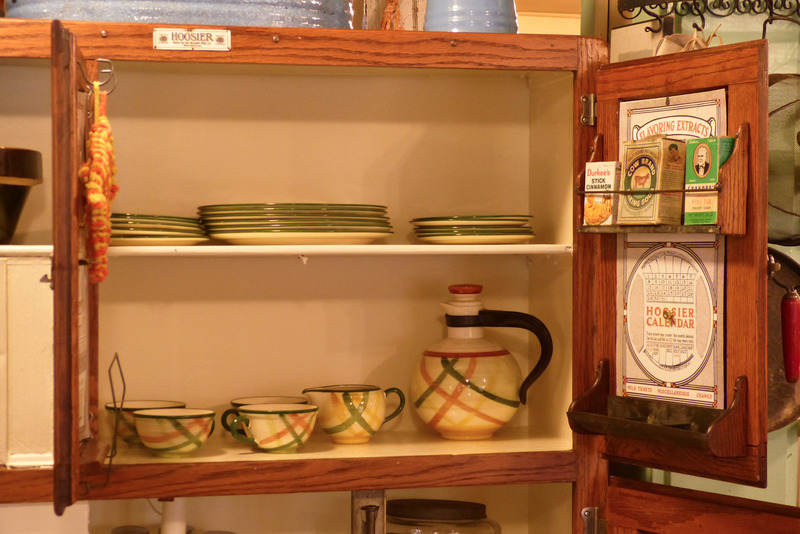 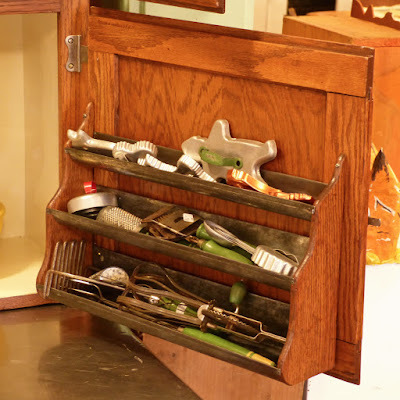 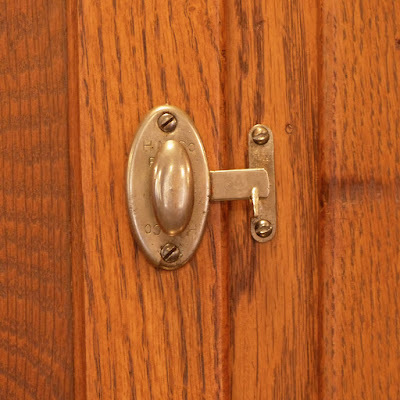 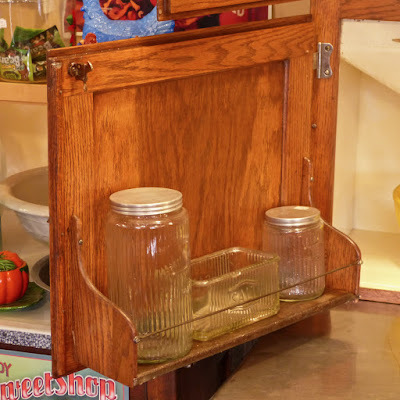 It has a 5-door top, rare (and interesting) hardware that was only used for one year, the useful swing-out sugar jar, spice carousel, and flat (rather than paneled) sides. 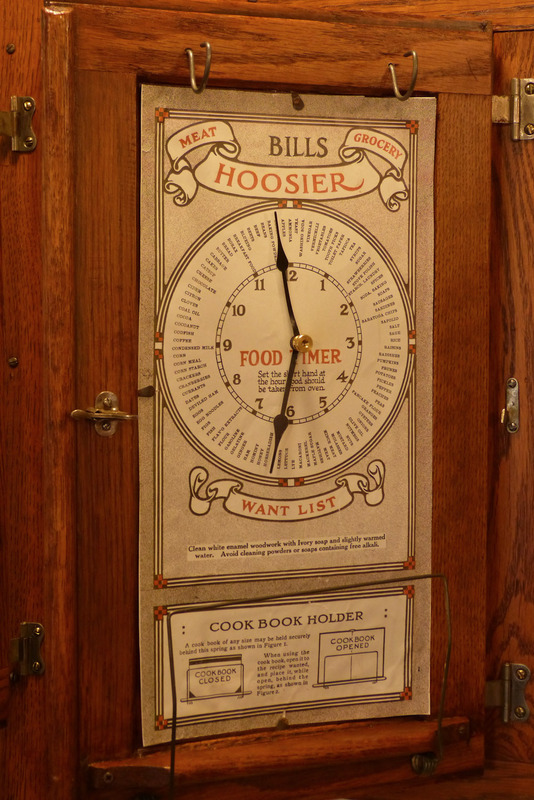 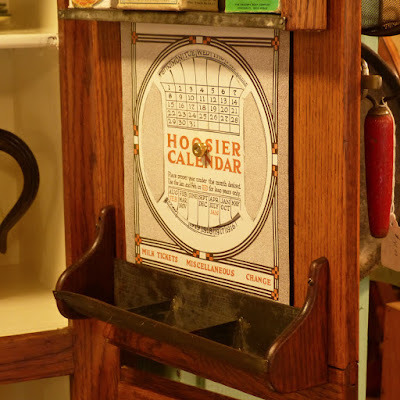 There's a choice of tin-top or enamel top for this Hoosier.